MouthMedia Network® fosters great conversations about business, innovation, careers, and leading a balanced life through podcasts and live events. It is both a podcast network and professional network, and we produce internal communication tools for companies. Build your professional network with us at our frequent executive and entrepreneur-focused networking events, featuring great speakers in a relaxed atmosphere. The MouthMedia Network® team believes that long-form audio must be an integral part of any future-oriented company’s communication strategy. We develop shows that enable business development, connect audiences, inspire actions, and amplify branding. Our industry shows are focused on verticals that show tremendous growth opportunity. We bring together a host team of industry leaders and executives to have in-depth conversations about changing technology and business models. We call this Direct-to-Executive™ and over 55,000 executives listen to MouthMedia Network podcasts every month to stay on top of key conversations in their field. These shows have a “prosumer” audience and showcase the brilliant ideas, strategies, goals, aspirations, and actions of powerful individuals. Show topics range widely from spirituality to entrepreneurship, from women balancing career and family to athletes looking at their next chapter to social media entrepreneurs trying to just make it work. These shows are accessible to people with aspirations to enter a particular field, while at the same time being relevant enough for senior executives. We call this Direct-to-Transformation™ and work with remarkable influencers to produce shows with a profound personal and professional impact on listeners. We work directly with companies on private communication tools and programming, developing podcasts that cover human resources needs, training needs, sales performance, and team motivation. Each show is proprietary and custom tailored to the needs of our clients, and sometimes their clients. The material we help companies produce improves team cohesion at scale. If you have a workforce, vendor network, or client base spread out across the nation or the world, being able to communicate with them effectively is of paramount importance. This is what we call Direct-to-Performance™, and we don’t think you’ll find anything like it elsewhere. American Fashion Podcast is the leading fashion industry podcast, followed by thousands of industry insiders each week. “The fashion industry’s favorite show” is hosted by “@FashionTechGuru” Charles Beckwith and veteran fashion business executive Cathy Schepis. American Fashion Podcast's weekly deep dive interviews with people at all levels of the business focus on stories about how the fashion industry functions, dysfunctions, and is evolving. Prominent guests have included Donna Karan, Naeem Khan, Ralph Rucci, Norma Kamali, threeASFOUR, Simon Collins, Lauren Sherman, Gary Wassner, Jeff Staple, Anita Dongre, Dana Thomas, Rebecca Minkoff, Teri Agins, Nick Graham, Austin Scarlet, Babi Ahluwalia, Domenico Vacca, Bayard Winthrop, Trina Turk, Ann Roth, Daniel Vosovic, Mickey Boardman, Julie Zerbo, Tim Gunn, and many more. Fashion Is Your Business is the world’s top fashion + tech podcast. The informative and fun weekly show is hosted by Nataliya Makulova, Pavan Bahl, Rob Sanchez, and Marc Raco, along with revolving guest hosts. This show features useful in-depth interviews with industry leaders and innovators, a platform for business leaders to announce initiatives and milestones, and commentary about virtually everything in between. FIYB makes necessary insights into business and technology within the fashion industry entertaining, meaningful and accessible, and has become a valuable media partner for pivotal conferences and events, particularly in the area of retail technology. MOMSGOTTHIS is a daily podcast every Monday through Thursday, featuring lively interviews with accomplished inspiring entrepreneurs and entertainers who are also moms. Each day covers a different part of a guest's life: including career, adventures, their “mom journey,” the highs and lows, the products they like (and don’t like), recipes that save the day, how they love and nurture their kids, the work-life balance, and more! Listeners will discover tips and tricks, be inspired, find the confidence to know that they’ve "got this" -- and even get a chance to share their own #MOMSGOTTHIS moment with hosts (and moms) Michelle Park and Stacy Igel! On the All Possibilities podcast, intuitive life purpose coach, Yale and MIT alum and founder of Being My Purpose, Julie Chan, talks with entrepreneurs, business executives, scientists, educators, and leaders to hear their stories of transformation, and examine the science behind them. She also explores what it means for anyone to unlock one’s potential in life and career. Beauty meets the future in Beauty Is Your Business. This show features discussions inspired by recent news, useful in-depth interviews with industry notables, and commentary about virtually anything in between, making insights into business and technology within the beauty industry entertaining, meaningful and accessible. America’s identity is evolving in real time. Former Obama White House senior advisor & Chief of Staff to the Under Secretary of Commerce, Vikrum Aiyer, is joined by journalists, comedians, politicians, activists, and listeners, to unpack this crucial existential moment for our nation’s identity. Content Is Your Business highlights how consumer brands are reaching new audiences through digital storytelling and changing the way people view and connect with them across the globe. Brands are developing killer content strategies across digital, social, and mobile platforms and are mapping out content by audience, measuring storytelling success, working with influencers, and building culture of content in-house. This show is about where content programming is going next as the digital publishing, media, PR, and e-commerce space is transformed. With hosts ranging from digital strategy experts to media network founders, Content Is Your Business unfolds the new world of content. Real Estate Is Your Business is a series of conversations with the innovators, entrepreneurs, and thought leaders at the forefront of the modernization of the real estate industry. You will hear the about the exciting technological and business innovations that are improving the way we live, work, and pretty much do everything. Take a deep dive into material science with materials expert Stephanie Benedetto (Queen of Raw) and manufacturing expert and founder of Save the Garment District Samanta Cortes (Samanta’s Platform), along with revolving guest hosts. Produced by MouthMedia™ Network , the show focuses on useful, in-depth interviews with industry notables, serves as a platform for business leaders, and provides commentary about virtually anything in between, making insights into business and technology within the material sciences industry entertaining, meaningful and accessible. TheCurrent Innovators is a podcast about the leaders pushing the boundaries of fashion, beauty and retail. Hosted by Liz Bacelar and Rachel Arthur, each episode is a frank conversation about the challenges and opportunities faced by top brands and retailers around the world through the lens of technology. Souler Stories are an in-conversation podcast series with key members of the Souler community, with the discussion focused around the business and art of influencing. 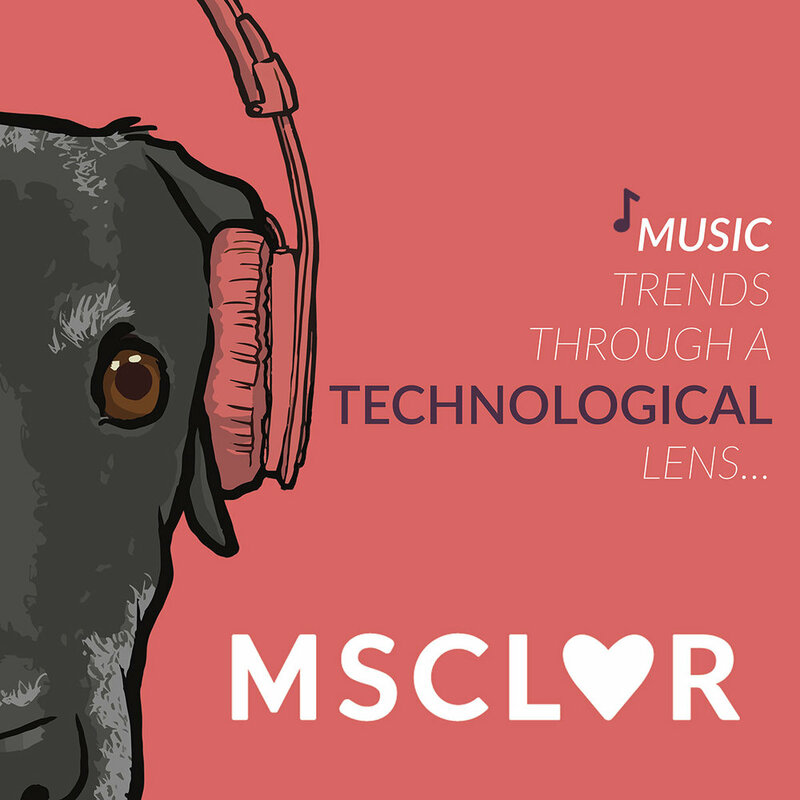 Join the MSCLVR family and your host Davin Riley and go behind the scenes of the Music Industry to discuss music technology news and trends with the passionate Entrepreneurs, Innovators, and Artists that are designing the future of music. Weekly insights on the state of podcasting and audio from thought leaders such as Rob Sanchez (CEO of MouthMedia Network), crucial news highlights from PodNews, and podcasters, insiders, and leaders from the podcast industry — for everyone who is taking podcasting seriously. Dale Moss, former NFL wide receiver, now accomplished model, entertainer and philanthropist shares In-depth interviews with Pro Athletes and Industry Professionals, uncovering their Game Plan for achieving personal and business growth and the positive change they inspire around them. This is The Game Plan Podcast with Dale Moss. Hosted by industry leaders and relevant business experts, Travel Is Your Business (TIYB) podcast features discussions inspired by recent news, useful in-depth interviews with thought leaders, innovators and top brands setting the pace and changing the face of travel, announcements by business leaders on initiatives and milestones, and commentary about virtually anything in between — making insights into business and technology within the travel industry entertaining, meaningful and accessible. Join the MouthMedia Network LinkedIn Group for updates on all of our shows. Our main studio is in Chelsea, colocated with the Voyager HQ startup community. The main studio is equipped with sound dampening treatments, six Sennheiser MK4 large-diaphragm condenser microphones, six Sennheiser e935 cardioid dynamic microphones, a Zoom R24 multitrack recorder, and a Focusrite Scarlett 2i2 computer audio interface, as well as mood lighting and an espresso machine. Do you already listen to any of our shows?